The mission of the Digital Studio is to provide library customers with access to cutting edge video, photo and graphics editing programs. The studio is a place where aspiring filmmakers can learn to take their ideas from inception to completion, where photographers and digital artists make their unique vision reality, a place for musicians to create and edit their own music and where web designers and digital communicators share it all with the world. It’s also a place for people who simply want to restore and preserve precious historic and family media. It’s a place where people of all ages and levels of knowledge can create, share and encourage each other. Click here to contact the Digital Studio staff. Don't have time to come in for a class? We also offer a wide range of online computer training opportunities for free through Lynda.com. 3D printing has made its way to the Digital Studio! This 2-hr session will run through the basics of using our new 3D printers. We'll start with setting up a print job, work our way through loading the filament, and finish by printing a small object. Completion of this course is required to utilize the Digital Studio's 3D makerspace. Learn to colorize a black and white photo with Photoshop actions and painting. All photos will be provided. Are you trying to get the most out of your digital photographs...but have no idea where to start? In this course, we'll take you from start to finish with information on how cameras, lenses, and photography techniques work. We'll also help you get started with digital darkroom organization using Adobe Lightroom. ? Learn how to use the professional film and television industry standard software to create your own video project. 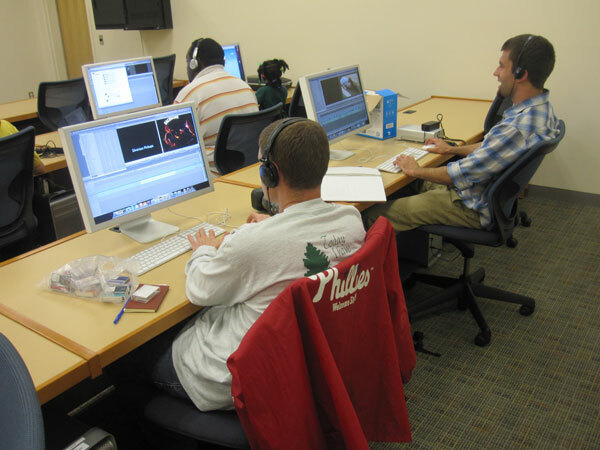 This class will cover basic video and audio editing, as well as adding audio and video effects. Learn the more advanced editing functions of Final Cut Pro X including: color correction, green screen effects, and much more. All "problem" video clips will be provided for you. Prerequisite: Final Cut Pro X Basics. Learn the basics of GarageBand, the audio recording and editing software from Apple. Basic experience with Mac computers is recommended before taking this class. Create original Vector Art using various tools in Adobe Illustrator. Learn the basics of creating graphic designs and images from photos and creating unique material using the basic tools and processes of Illustrator. Create your own video project using photos, video clips, and music. This is a great class for beginners. Learn to use the most powerful layout program in the industry. While learning the tools and interface of Adobe InDesign, you will also learn how to interface with Adobe Photoshop and Adobe Illustrator. We will cover the basics of using Apple software and hardware. Some experience with computers is necessary. This class will be using Mac OS X Mojave. We will continue to cover the basics of using Apple's Mac OS X Mojave. We'll start to learn more advanced features of Apple's OS such as creating folders, using external drives, and formatting hard drives. Learn about the interface and basic tools of Adobe Photoshop. You'll also learn how to effectively use and work with layers in Photoshop. Learn how to retouch your photographs like the professionals, restore old photographs, and use Adobe Camera RAW to improve the lighting, color, and composition of the image. Learn the basics of 3d architectural modeling with Sketchup, a free program for mac or pc. Increase your Sketchup knowledge by learning how to create and model an object for 3D printing! We'll use advanced tools, organization options, and higher detail levels. Thanks to today's technology, animations and video game characters appear more lifelike all the time, but did you know they all start with simple shapes you can create? We'll show you the basics of digital sculpting and painting using 3D modeling to create your own characters and environments. No experience necessary- we'll teach you everything you need to know! For grades 6-12. Registration required. 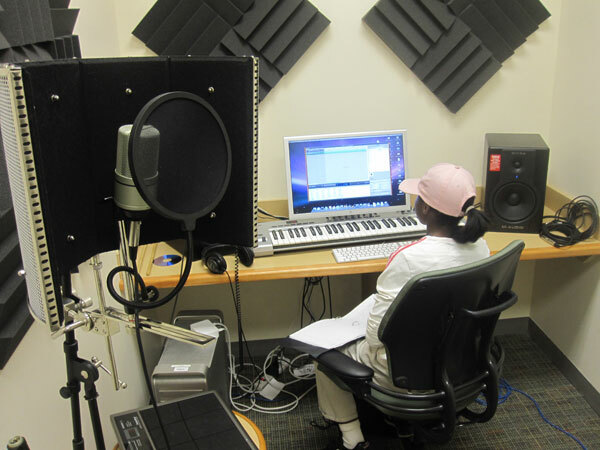 Record, mix, and share a song with our Audio Maker workshop! You'll learn about the science of sound waves, then get to work using mic techniques, recording software, and sharing. Bring your own instruments or use one of ours! No experience necessary- we'll teach you everything you need to know! For grades 6-12. Registration required. How do physical instruments differ from their digital counterparts? Use recording and mixing techniques to compare. You'll also learn about the cutting-edge technology used to play instruments from drums to guitars- digitally! No experience necessary- we'll teach you everything you need to know! For grades 6-12. Registration required.